Have you noticed how children’s Christmas plays almost always bring laughter, whether intentionally or not? Bill Muehl was a professor at Yale Divinity School for 20 years. I once heard him tell the story of a Christmas pageant that was put on at his church. The play included two Virgin Marys, three Josephs, five wise men, a cluster of little angels, and a pack of little shepherds. Bill’s six-year-old son was one of the shepherds. Everything went smoothly in rehearsals. At the performance, the two Virgin Marys took their places and were as beautiful as two little girls could be. The three Josephs held their positions like statues. The five wise men approached regally. The radiant angels took their places. Then came the shepherds, and chaos broke out. The shepherds treated the angels in ways no one ever treated angels before. Little girls were being tossed around the stage. Bill Muehl recognized the six-year-old voice that rose above it all. The flowery gowns of the angels, which had not been worn in rehearsal, had draped over the marks where the shepherds were supposed to stand. Something like that always happens during the holidays. You plan for perfection, and you get, well, humanity. The truth is that we are humans, and we often need to be (gently) reminded that the stress of life and the intricacies of our tumultuous relationships are quite small in the grand scheme of things. 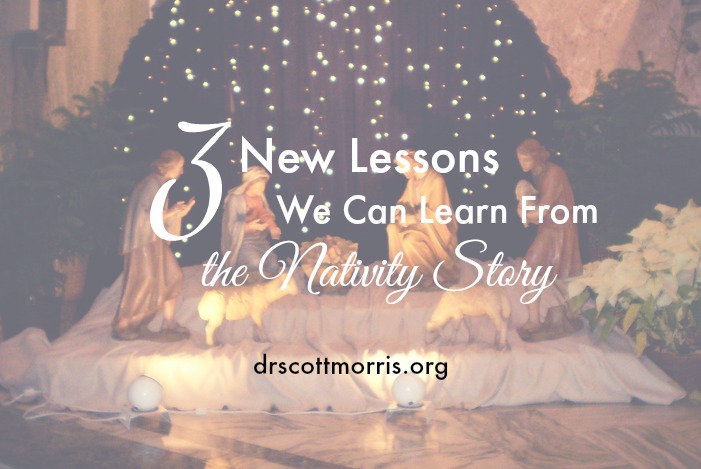 The good news is that the Christmas story itself is packed full of those lessons. 1. We learn that the angels worshiped. Most of the accounts in the Bible of angels appearing describe just one angel bringing a message. Luke 2 also begins with one angel, but soon a “multitude of heavenly host” appeared. They were a congregation, a community whose job was to worship God. “Glory to God in the highest heaven, and on earth peace among those he favors!” We sing these words in countless forms during the Christmas season. Notice that they connect God’s glory to the quality of life God wants us to experience—peace. 2. We learn that the shepherds worshiped. The angels left and the shepherds shot off to Bethlehem, where they found Jesus with Mary and Joseph. They could not keep from flapping their lips with the good news! Luke tells us they went back to their sheep “glorifying and praising God.” The shepherds had a new purpose now. It’s a great picture of how an encounter with God’s glory infuses new energy into our lives. 3. We learn that the wise men worshiped. Jesus was a little older by the time the wise men finished their long journey from the east and found Jesus with his mother in a house in Bethlehem. Matthew tells us they “knelt down and paid him homage.” Then they gave their famous gifts of gold, frankincense, and myrrh. The wise men were people of action, not just words. They went to great lengths to find out what that rising star meant. Their homage, or worship, called them out of their ordinary routines and into deeper meaning in a life with God. All of these lessons point to one thing: that worship is good for our health. It draws us into community with others and reminds us that God’s story is bigger than our story. Research links attending religious services with better mental and physical health and suggests that personal spiritual practices may reduce stress—and thus all the physical manifestations of stress. Now it’s our turn to worship and discover a picture of what God wants for the world. It’s our turn to worship and find renewed energy. It’s our turn to worship and journey into lives of deeper significance. May God meet you in your Christmas journey this year. 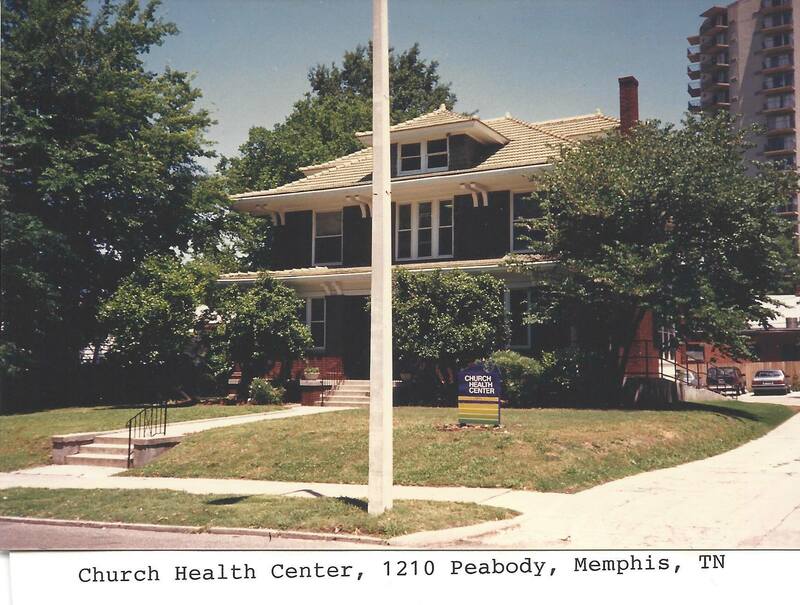 The Church Health Center opened in September of 1987. By December, I had the bright idea to light up the community by caroling for patients. My own singing voice might have made people unplug the tree and hide, but I gathered a few friends for reinforcement and we set off. I chose several patients and looked up their addresses. One of these was a woman in her mid-60s. Her name was Virgye Shinn. Virgye had been a bartender for decades, but now she was living off of her Social Security income, which was paltry. She had been exceptionally nice to me when she came to the Church Health Center, and I wanted to return the favor. On a cold December night, my friends and I hunted for her North Memphis apartment. To begin with, it was in a gloomy neighborhood, and Virgye lived on the third floor, with no elevator, and down a foreboding corridor. Safe is not a word I would use to describe how our band of carolers felt that night. Quite the opposite. But we walked up those shadowy stairs and into the darkness. I knocked. No one came to the door, but I could tell someone was in the apartment. Light beamed through the window above the transom, so I knocked again. Finally Virgye came to the door and opened it about two inches. The chain was still on. “What do you want?” Her tone was nothing like the nice lady I had met in my office. I was stunned. We hadn’t even sung a single off-key note yet! Virgye unlatched the door and opened it a couple more inches. That was all the holiday cheer we were going to get from her. We sang one carol and ran down the stairs and out of the building. The next week, Virgye showed up in the clinic and was back to being incredibly nice. She was falling all over herself to apologize. We finally figured out that she and another unrelated patient, an elderly man, had paired up to share an apartment and split living expenses. On the night we showed up to carol, she was helping him bathe. It seemed to me that he got a better deal out of the roommate agreement than she did. Before too long, Virgye began making a monthly donation to the Church Health Center. She was the first person ever to do that, although now monthly gifts are what keep our ministries afloat. I knew her income was less than $500 a month, but every month she would send $5 or $10 to the Church Health Center. I tried to tell her she did not need to do that. When Virgye Shinn died, I looked back over her history and saw that she had faithfully given more than 200 gifts of $5 or $10. All these years later, I still think of Virgye Shinn at Christmas time. I thought I was bringing light by taking my friends to brave her shadowy neighborhood. Instead, she showed me a lesson in incarnational care for people in need, and that’s a good reminder every Christmas. The Gospel writer Luke tells us that Mary and Joseph left Nazareth for Bethlehem because of a census. How would they get there except by walking? Thousands of other people would have been walking on Roman roads at the same time to meet the census requirements. Cheery holiday travelers they were not. Luke also tells us an angel told Mary she would bear the Son of God. Matthew tells us an angel told Joseph to name the child Jesus, because he would “save his people from their sins.” I find it interesting that this same root word for save appears in gospel stories of miraculous healing. Jesus, the Son of God, consistently linked faith and healing. He came to heal not only physical maladies, but lives. 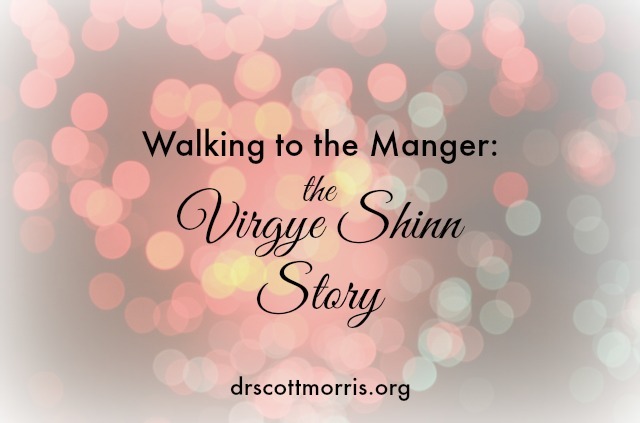 Virgye Shinn understood what it meant to live among and serve those whom Jesus came to save. I hope my own steps through Advent and Christmas this year will shine with God’s glory the way Virgye’s did. 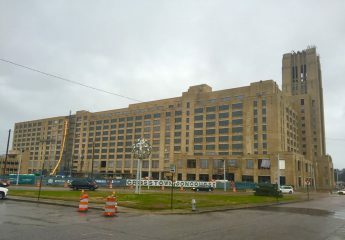 The Friday afternoon after Thanksgiving, my wife Mary and I went to the Orpheum Theater in Memphis. I have to admit that I wasn’t exactly thrilled to go. We hold Thursday night tickets for the season, but because of Thanksgiving, the tickets were only redeemable for the Friday matinee show. The show was A Christmas Story: The Musical. It is based on the 1983 movie that is shown over and over (and over and over) on TV during the holiday season. I was skeptical: how could this musical possibly be any good? We almost didn’t go. The musical is set in 1940. Ralphie, a 10-year-old boy, desperately wants a Red Ryder Carbine Action BB gun for Christmas, but all the adults in his life insist that if he were to have one he would – and those of you who have seen the movie are welcome to chant it with me – “put his eye out”. Ralphie tries in every way possible to trick his parents into giving him one, despite the risk of blindness. Ten-year-old boys aren’t famous for their ability to prioritize. In the battle of air rifle vs. sight, the air rifle will almost always win. I have always found the movie cute, but nothing more. So I was totally unprepared to find the musical both totally enjoyable and bordering on profound. 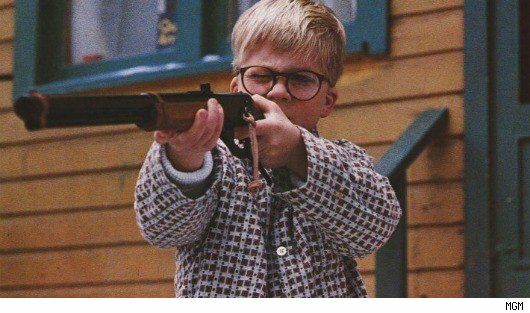 Ralphie’s passion for his BB gun and how he envisions it changing his life is a powerful reminder of our youthful infatuations. But it is his mother’s understanding of how transient the events of our lives can be that I found so profound. Ralphie’s mother’s words remind me how we spend so much of our lives anticipating the future or remembering the past when what makes all the difference is experiencing this very moment, which is so soon gone. It does us good to pause and actively engage in the events of our lives. I’ll admit that this is easier said than done. Many of us are in the habit of whipping out our camera whenever something ambiguously noteworthy happens, and as a result we go through life on one side of the camera’s viewfinder rather than experiencing it as it happens. These are habits that we need to break. Each moment is precious and worth engagement. Becoming actively present is a form of spiritual exercise that not only profoundly impacts our relationships with the ones we love but also helps us become more centered and live more joy-filled lives. In the end, Ralphie does get his BB gun. And even though he does almost put his eye out, the story is a remembrance of how great that Christmas was. The memory of a special moment can be every bit as good as living it the first time but only if we have actually lived it the first time. 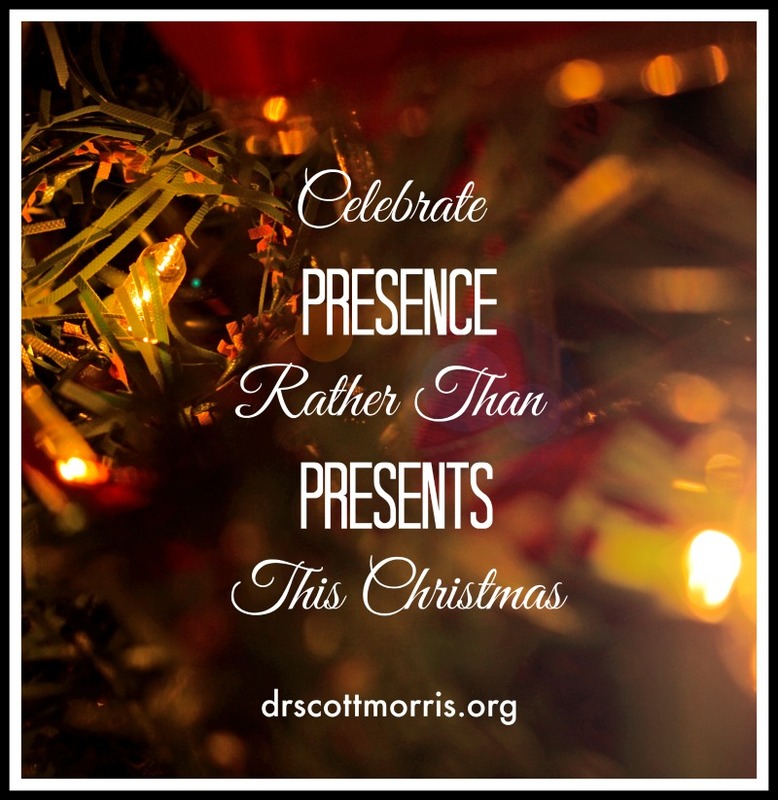 This Christmas, I encourage you to give yourself and your loved ones the gift of presence. It may not be as glamorous as an air rifle, but it’s just what your mother ordered.